A long standing research topic in evolutionary biology is the genetic basis of adaptation. In other words, how does a novel trait appear (or spread) in response to an environmental change? Despite the rapid advances in sequencing over the last two decades, we have only been able to fully characterize a few adaptations. As stated by Richard Dawkins in Climbing Mount Improbable, while natural selection is a very simple process, modeling natural selection and determining its causes, effects and consequences is an extremely difficult task. Also, most of our efforts so far have been focused on just one type of genetic variation: single nucleotide polymorphisms (SNPs). Other types of variations such as transposable element (TE) insertions have received much less attention. Paradoxically, some great examples of the role of TEs in adaptation have been right under our noses the whole time, in basic biology textbooks. TEs have already been shown to play an important role in adaptive evolution, not only by increasing the mutation rate but also by controlling the expression of nearby genes. Combine this with their ability to jump through the genome and you have a very efficient mechanism for generating adaptive traits (as well as neutral and deleterious mutations, of course). For example, the wrinkled-seed character of Mendel’s famous peas is caused by a TE insertion in a gene encoding a starch-branching enzyme. More recently another classic example in evolutionary biology yielded its secret: the moth Biston betularia owes its melanic form to a TE. 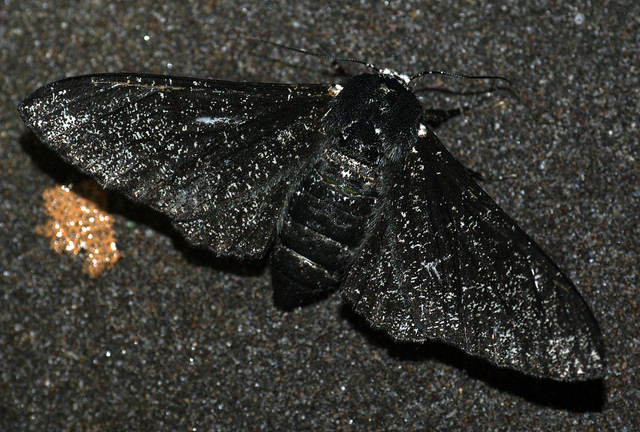 The black pigmentation that helped this moth survive during the industrialization of Britain was caused by a TE named ‘carbonaria’. 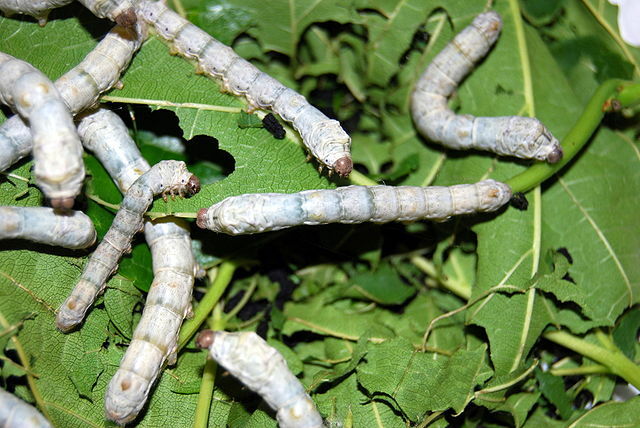 Another insect that got its TE moment in history was the domesticated silkworm, Bombyx mori. The ‘Taguchi’ TE provides developmental uniformity to individuals, crucial for domestication and, subsequently, the mass production of silk. Just imagine how different not only the history of biology, but the history of humanity would be without TEs. They allowed the lucrative trade of silk, the major trade item exported from China (120 BCE – 1450s CE), thus fostering the cultural exchange among civilizations along the route (this idea is from a talk by Andrea Betancourt from the University of Liverpool). These and many other examples demonstrate that it is time to start taking the role of TEs and other so called “structural variations” seriously, if we want a comprehensive understanding of the adaptive process. The main reason for overlooking the role of TEs has been technical limitations. In spite of the advent of parallel sequencing techniques, which resulted in a massive increase in the number of complete sequenced genomes, the short length of the sequenced reads delivered by these technologies has been a thorn in the side for the study of TEs. Genomic regions containing TEs are difficult to assemble and as long as the TEs are longer than the sequenced reads (which happens fairly often) the TEs are collapsed into a much shorter sequence. This has led to most sequenced genomes to have a poor annotation of TEs and has hampered their study and characterization. Now is the Time! Third Generation Sequencing to the Rescue! Third generation sequencing technologies provide an unprecedented moment for the characterization of TEs and the evaluation of their role in evolution. These sequencing technologies, such as the Pacific Biosciences SMRT (single-molecule real-time) and the Oxford Nanopore sequencing, offer the opportunity to sequence extraordinarily long reads (10Kbp on average, achieving up to 100Kbp). Such improvement overcomes the main issue of assembling genomic regions containing TEs and, therefore, makes the annotation of the whole repertoire of TEs in an organism possible. As the prices of these sequencing technologies come down, we’ll be able to precisely determine the genotypic frequencies of TEs at the population level, which will give us a better understanding of their dynamics and evolution. Besides new sequencing technologies, methodological approaches for detecting the footprints of natural selection have significantly increased both in number and sophistication (Villanueva-Cañas et al 2017). This is why it is now the time to start to be serious about TEs. We have no more excuses and there are tons of amazing stories to be told! After all, even though Carl Sagan once said that we are made of “star stuff”, we are actually made of “TE stuff”. To find out more about Transposable Elements, read our Open Access Methods in Ecology and Evolution article ‘Beyond SNPs: how to detect selection on transposable element insertions’. This article is part of the ‘How to Measure Natural Selection’ Special Feature. All articles in this Special Feature are freely available for a limited time. This entry was posted in Evolution, Methods papers and tagged Adaptation, Adaptive Evolution, evolution, Genetic Variation, Natural Selection, Third Generation Sequencing, Transposable Elements by Chris Grieves. Bookmark the permalink.